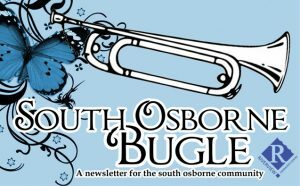 The Bugle is a free, electronic, community newsletter. What kind of content is on the Bugle? That depends on you. The Bugle is here is serve the community. Send us the announcements you wish to appear in the Bugle. This can be anything from significant community centre or school events to garage sales to concerns about safety in the neighbourhood. The content is up to you. Note: the Riverview Community Centre reserves the right to not include any content that it deems inappropriate. The file formats we except are pdf, doc, docx or images examples .jpg, .jpeg, .gif, .png, .bmp. No publisher files please. Send your announcements for the Bugle to bugle@riverviewcc.ca. The Bugle is distributed bi-weekly on Tuesdays at 12:00PM CST. The deadline for content submissions is the end of the weekend before the Tuesday. Click below to subscribe. It is free and you can unsubscribe at anytime. You email will not be shared with any other parties and is only used by the Riverview Community Centre to share the Bugle and the odd survey for Bugle feedback.